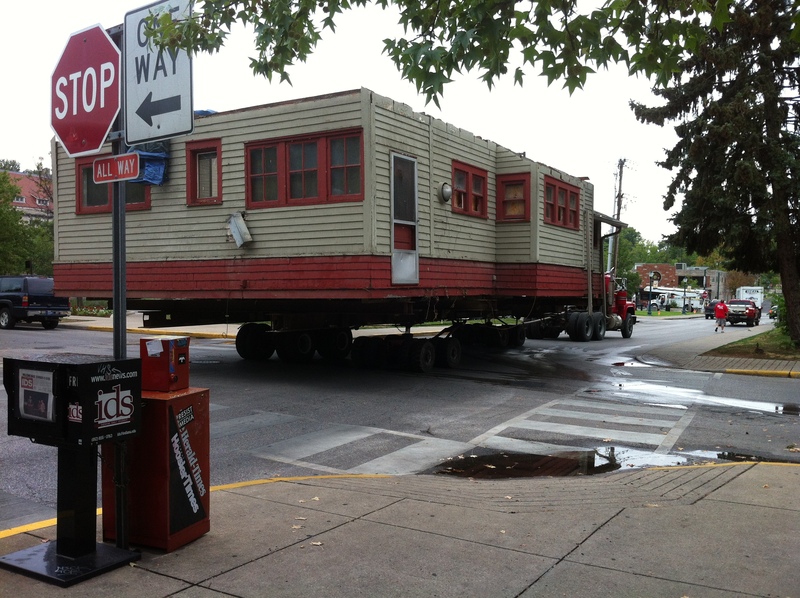 And…we are go for liftoff. 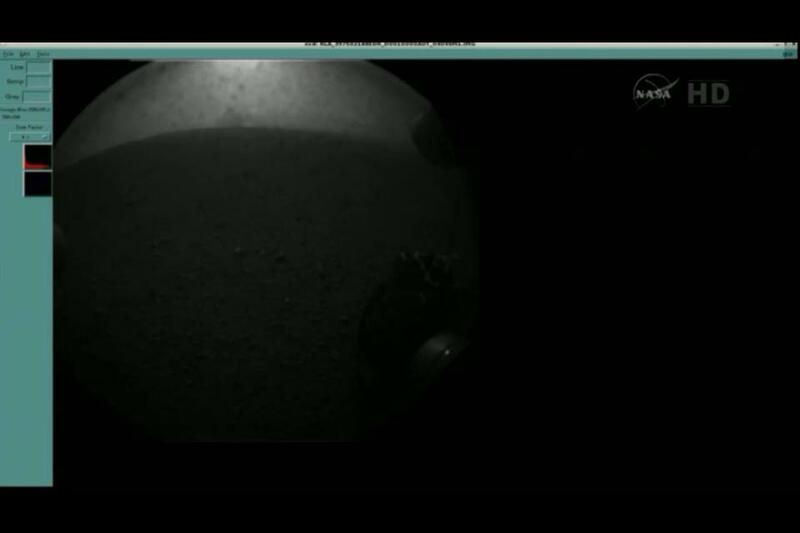 I’ve returned to this post to add the above photo, which was taken by my partner during the #MSL #NASATweetup last November. That’s the Space Shuttle Endeavour during decommissioning. 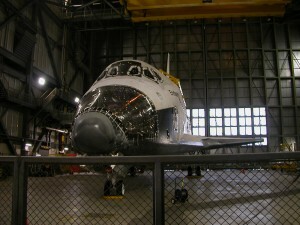 Over a period of several months, every Shuttle went through a decontamination process, with some toxic elements shipped offsite for remediation. During the same time period, NASA harvested select components, like the orbital maneuvering system (OMS) pods and the main engines, for potential re-use in next-generation spacecraft. While we were at Kennedy Space Center for the MSL launch, we were fortunate to be escorted into the VAB for an up-close and personal look at Endeavour right after the OMS and Forward Reaction Control System (FRCS) came out. I’d show you more views of Endeavour in the VAB, but apparently my partner and I were both too busy staring and saying things like, “Oh my god, it’s RIGHT THERE!” to take photos. I won’t make that mistake the next time I see Endeavour. And I will see Endeavour again. I just purchased a plane ticket to Los Angeles and while I’m going to be doing some “real work” while I’m there, I’m planning on walking/running as much of the twelve mile route between LAX and the California Science Center as the people in charge of move will allow. I’ve got plans to go up to Mount Wilson Observatory while I’m in the area as well, so this page should be overflowing with photos and commentary come the middle of October. Fun times ahead! Comments : Comments Off on And…we are go for liftoff. Let’s hope they don’t have to cut the top off Endeavour in order to clear the power lines of Inglewood. 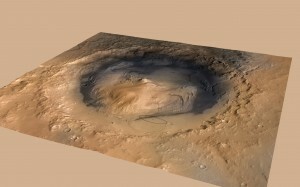 I’m seeing a steady stream of hits on this site by people searching for maps of Gale Crater. I included a few maps in an earlier post about the MSL launch, but the best collection can be found on the HiRISE site. 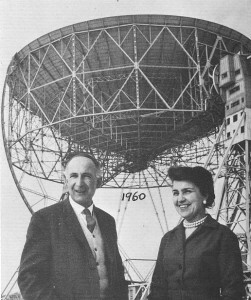 I recommend in particular the collection gathered during the landing proposal phase of the MSL project. You can also do a search on the words “Gale Crater” or browse through the image catalog to look at the most recent images. 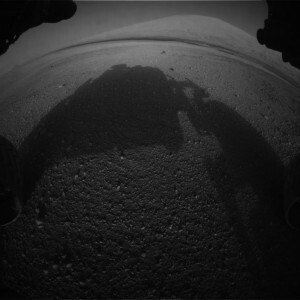 The JPL’s Explore Mars! site includes a tool for exploring Gale Crater. Use the navigation bar at the top of the page or click on any of the topographic tags to zoom and read more about the crater’s features. And of course, you don’t want to overlook Google Mars. Don’t expect to get any work done once you open that page up, though. At the risk of angering everyone I know, I’m going to admit that I’m suffering from a surfeit of Curiosity. I’ll be waiting up Sunday night for the MSL landing, but in the meantime, I’m not sure I can absorb much more information about the mission. So, instead of talking more about current events, I’m going to daydream about the future. If all goes well (meaning: if my friend responds appropriately to the gentle pressure I will be putting on her next week and if the weather cooperates), we will be going out to Paynetown for the Perseid Meteor Party. The timing is perfect: it’s a Saturday night, so we can sleep in a bit the next morning, and the moon will be on the wane, so its light won’t interfere with show. 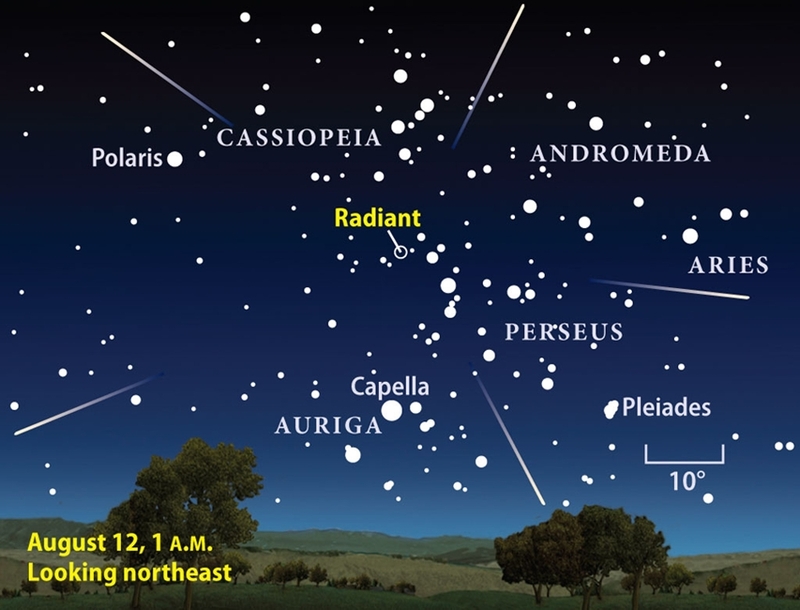 The Perseid meteors, which are actually debris from the tail of Comet Swift-Tuttle, emanate from the constellation Perseus. If you’re not super familiar with the sky, you may not be familiar with that particular constellation. That’s okay. Look instead for Cassiopeia (you know, the one that looks like a W). The shower’s radiant point will be between the W and the horizon. 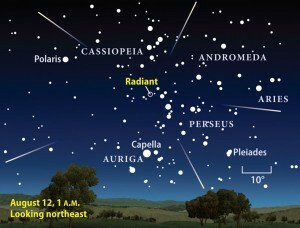 Although it’s not impossible to see Perseids from the southern hemisphere, they’re much more visible from the northern. Those of you in Canada may have already noticed an increased number of meteors in the late night sky. That number will only increase over the next week, so keep looking up. 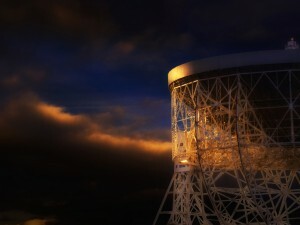 No telescope needed, just your naked eye! ETA: Need some meteor-watching advice? 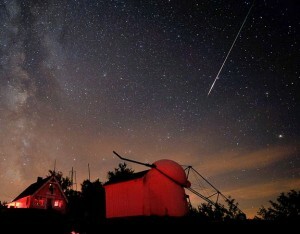 Check Meteorwatch’s page on the Perseid Meteor Shower. Those of you who arrived at this page while looking for information about the Goldendale Observatory will be glad to know that the observatory is hosting a meteor watch on August 11 beginning at 11:00 p.m. (after the regularly scheduled skywatching session), running until 4:00 a.m. LIGO Hanford is also hosting a meteor-watching event on August 11 from 8:00 p.m. to 1:00 a.m.